While driving home from the chapel last week, I was praying the Joyful Mysteries of the Rosary. My plan was to pray the Sorrowful Mysteries in the afternoon and the Glorious Mysteries in the evening before going to bed. For many years, I had simply prayed the five decades designated for the day in order to fulfill Our Lady’s request at Fatima that her children pray the Rosary every day for the Consecration of Russia and the peace of Christ in the world. At least I thought that was the nature of her request. More on that misunderstanding will be clarified momentarily. Then, one evening in December, one of our parishioners in Southern California mentioned to me that he prays the whole Rosary every day because if Our Lady said that Francisco would go to Heaven only after praying many Rosaries, and he died at the tender age of ten, then how many more would we have to pray to get there! That struck a chord with me. I now believe that it is good to pray the entire Rosary daily for three reasons. The first reason is that when the Virgin Mary asked us at Fatima to pray the Rosary every day, she was not asking for five decades. She was asking for fifteen. When Our Lady says “Pray the Rosary,” she is speaking of what has been termed her Psalter, a word referring to the Book of Psalms, which contains one hundred and fifty Psalms of David. From the time of St. Dominic, “Mary’s Psalter” was the 150 Hail Marys. 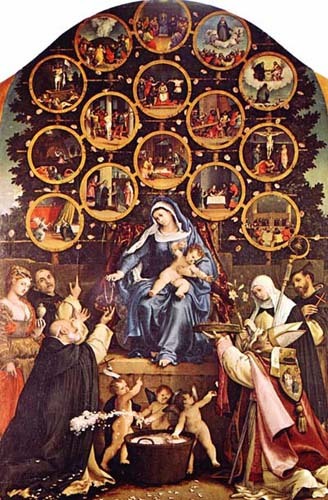 In 1569 St. Pope Pius V, himself a Dominican, issued an apostolic letter establishing the fifteen-decades as the official Church-authorized Rosary. For some, if not many, it may seem like too much to ask, given so many other daily responsibilities, to pray the whole Rosary. They will say that even one of the Mysteries, that is, a set of five decades, is difficult. I would respond that each one of us is awake at least fifteen hours of the day. Some are awake a few hours longer, but for the sake of argument, we will use the figure fifteen hours. Yes, it would be very nice to get nine hours of sleep at night! If each of us prayed one decade of the Rosary each waking hour, which amounts to five minutes out of every sixty of our day, we would pray the entire Rosary every day. 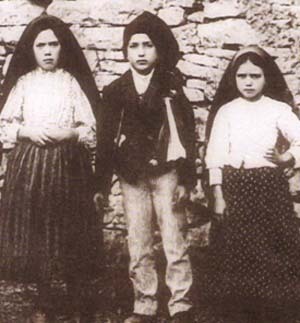 The Virgin Mary at Fatima was God’s last olive branch for peace in the world today. Is it any wonder that there is such an overlap between the generosity of Jesus and His Mother Mary? In fact, Jesus revealed to Sister Lucia in the 1930s that He wanted Mary’s Immaculate Heart to be honored alongside His, and hearts that love the same things share the same dispositions towards others. In fact, His request simply reiterated what Our Lady herself had already revealed on July 13, 1917: that God wants to establish devotion to her Immaculate Heart in the world. The third reason why I believe it is a good and holy practice to pray all fifteen decades of the Rosary daily is two-fold: to make reparation for our own past sins and for an increase of actual grace in our souls that will make us more powerful intercessors for others. “The prayer of a just man is powerful indeed,” wrote St. James in his Epistle. There is a temptation to think that after we have confessed our sins and completed the prescribed penance, the slate is wiped completely clean and we can go on with life as if those sins have been entirely taken care of and are part of the past. This is not the attitude of the saints. They grieved over their sins for the entire course of their lives, never laying aside the mattock of mortification or losing their humility before God and their companions. They also understood that there are temporal penalties due to sin, and these will come down upon us either on earth or after death in Purgatory. Therefore, they wanted to make reparation on this earth, even for venial sins. Therefore, it is very important that we hold ourselves accountable before God for each sin that we have ever committed, and not simply rely on those three Hail Marys we were given by that “nice priest” in the Confessional. I think I should instruct the people to pray fifteen decades of the Rosary for every mortal sin they have ever committed, or at least those that they can remember after making a good examination of conscience. At Judgment, God does not simply look at the “big picture,” or the term coined by one progressivist theologian, Joseph Fuchs, our “fundamental option.” He examines every single decision we have made in our lifetime, and demands an account for each one. Even if we die in a state of grace, our Purgatory can be very long, especially for the mortal sins forgiven in the tribunal of God’s mercy, but not fully expiated. In his book Purgatory Explained, Fr. F.X. Schouppe, S.J., wrote that on an average, a person suffers seven years in Purgatory for every mortal sin. If that is accurate, some might have a few centuries to think about and repair for what they have done. Given what we have seen about Our Lady’s statement on the power of the Rosary in these days, taking particular account of each mortal sin we have committed by praying fifteen decades of the Rosary is a wonderful means of appeasing God’s Justice and shortening our time in Purgatory, and perhaps even eliminate it entirely. Plenary indulgences, it is true, can be obtained by doing much less, but actually receiving that indulgence presupposes a detachment from sin that most of us do not yet possess. If we are faithful to praying the whole Rosary every day, in one year’s time we would have prayed 365 Rosaries to cover for a multitude of sins. That’s not too bad for a year’s work. One can also, it should be noted, offer Rosaries in the same manner for relatives and friends, especially for one’s family. If we are Our Lady’s consecrated slaves, every Rosary we pray is prayed first and foremost for her intentions, and then we may ask for particular intentions. This works very well – we give everything to Our Lady, but that does not prevent us from asking her for some personal intentions. For example, as a priest, I have one Mass intention for every Mass that I offer. However, there are many other daily intentions that can be included at the Mass without actually being the primary intention for that Mass. The same goes for the Rosary. This exhortation to pray the entire Rosary does not pretend to say that persons who pray only a third part of the Rosary – the Joyful, Sorrowful or Glorious Mysteries – are doing something wrong or that their prayer is without merit. It is very good to pray a third of the Rosary, and one should continue this pious practice even if the entire Rosary cannot be prayed. Also, I don’t want to discourage those who only pray one decade a day. They should continue. My words should be considered a stimulus to reach a most perfect form of prayer – the entire Rosary – and until a person can achieve this goal, he should do whatever he can. Our Lady will be pleased with his efforts to obey her request, and if he asks, will give him the grace to do more.